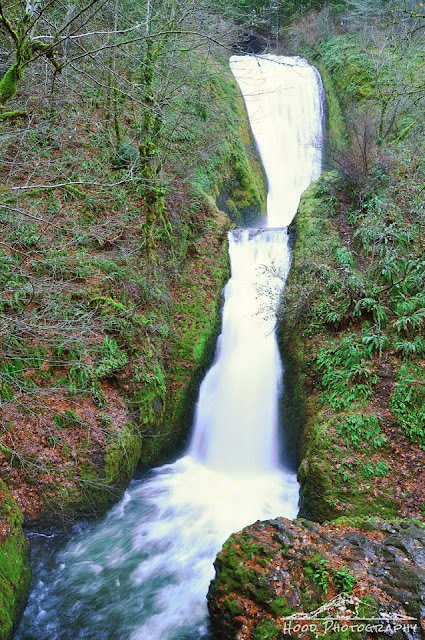 Bridal Veil Falls is a pretty, two tiered waterfall in the Columbia River Gorge. The access to the falls is a very easy 3/4 mile in and back walk that I did on Sunday morning before the rain started. This one's magnificent. It occurs to me there are quite a lot of bridal veil falls. There's a Bridal Veil Falls in NC, too. Very lovely indeed. Perfectly captured. Wow that is spectacular photo!